You are currently browsing articles tagged humor. 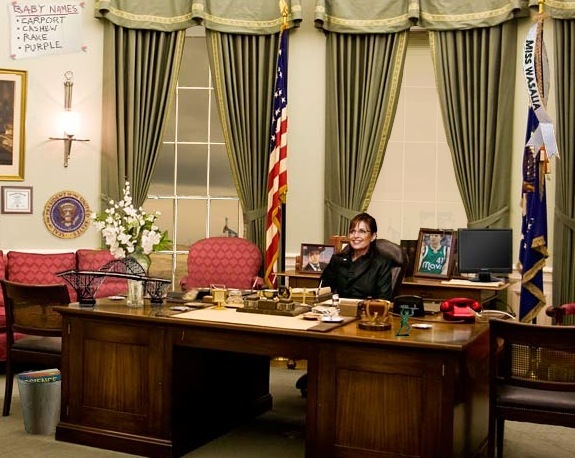 Palin as President is like some kind of weird interactive oval office advent calendar from a parallel polyverse. Click on anything and get surprised by some palinism, in Sarahs voice, explaining. Sort of. Have fun.